The iPod is Apple's line of digital music players. 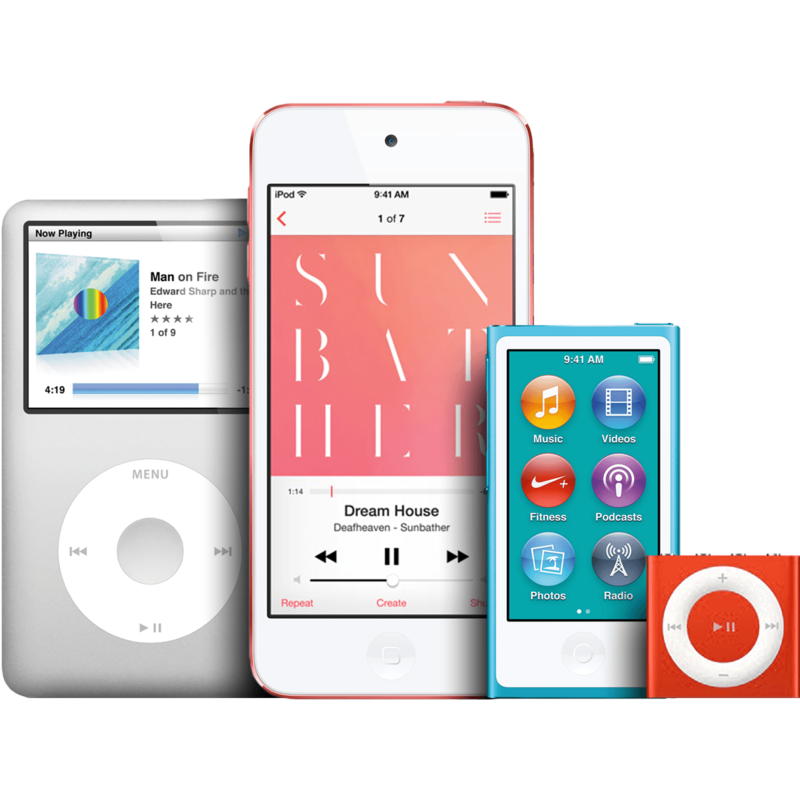 They cover the range from the iOS-powered iPod touch to the massive music holding iPod classic to the highly portable iPod nano to the incredibly inexpensive iPod shuffle. Looking for an ultra-thin, super lightweight, barely-there case for your iPhone 8? We gotcha covered. 'You can save $100 on HomePod." "Wait, what?" "And get a $300 gift card back on a brand new iPhone XS or XR." "Are you kidding me?" "iTunes Gift Cards for 20% off?" — Me living the Thrifter life. iPhone or iPad keeps shutting off? Here's how to fix it! If your iPhone or iPad keeps shutting off without you asking it to, there are a couple things to try before scheduling that support appointment with Apple. Try out a few of these tips and tricks and you might just solve your problem! Apple is hosting its annual developer conference starting June 4 and iMore will be on the ground and in the mix. Here's everything you need to know to join us from the comfort of your living room. Apple rumors: What do we have to look forward to at WWDC 2018? As Apple's next event approaches, here's everything we've heard so far about the iPhone, Apple Watch, HomePod, Apple TV, and more. Get gamin’ in style with these gamepads that come with a phone holder (your high score will thank you — trust us). Want to easily share your home wi-fi network password with friends who use Apple devices? read on. The best RAW camera apps for shooting with the iPhone! While a lot of people are super content to simply load up their Camera app and snap a couple of pictures, having a RAW camera app that allows you to have more creative control over your photography can really be a game-changer in the long-run! iOS 12 is a-comin' and it doesn't want any part of your old-fashioned shenanigans! Join the discussion: It’s 2017; do you still rock an iPod? Are you someone who still uses an iPod every day? We’re chatting iPods in the year 2017 in the iMore forums!